papermadeprettier: Let's taco about saleabration ending in 4 days! 7 additional FREE items added! Let's taco about saleabration ending in 4 days! 7 additional FREE items added! 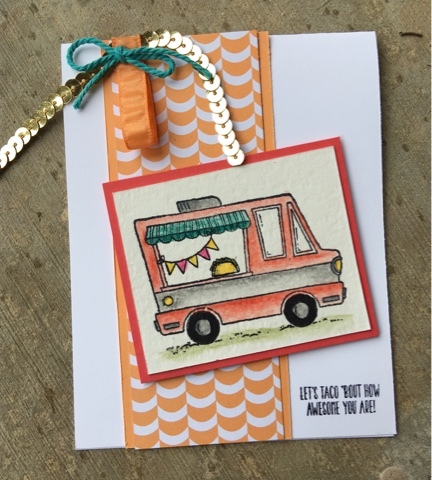 Let's taco about how awesome this stamp set is, but it's only available for 4 MORE DAYS! Can you spy 2 more items that will be gone at the end of this month when Saleabration ends? I have my last Saleabration event TONIGHT (3/28), my Saleabration Finale! Email me or FB message me if you'd like to come! Or just email me your order cogbill22@yahoo.com or even easier shop online at www.papermadeprettier.com "Shop online". Orders of $50 or more will receive 5 handmade cards from me! How to Earn Free Stuff! 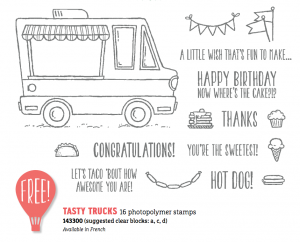 Total $52.50 and you get to pick one FREE SALEABRATION ITEM, the #143300 Tasty Trucks stamp set! 7 ADDITIONAL SAB items were added last week! 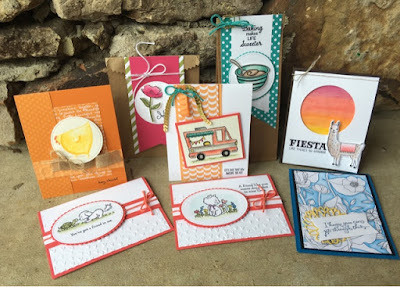 For only 4 more days you can choose the starter kit of $125 for $99 (free shipping) and choose any TWO FREE stamp sets??? Click here to find out more about how you can earn FREE STAMPS and get a starter kit today!